For Valentines Day, veterans from across the nation showed their appreciation for our health care by letting people know on social media. There are 22 million veterans in America. Of those 22 million, 9 million are enrolled in VA care, and 7 million get some or all of their care in VA hospitals. In addition, there are 45,000 vacant positions at VA hospitals across America. Most are vacant doctor, nurse & mental health positions. As VA vacancies go up, vet care goes down. Since 2014, when the CHOICE program began, millions of vets have been sent into the private healthcare sector, and nearly 40% of all outpatient doctor visits have been routed into private healthcare. Many vets are dissatisfied with CHOICE and wait times for some vets are as long or longer in the private sector than they are at the VA. The Veterans Healthcare Policy Institute, formerly Fighting for Veterans Healthcare, provides a platform for voices of veterans who want to preserve and improve veterans healthcare; conducts and disseminates objective research and information about veterans healthcare; and explores and analyzes innovative ways to improve veterans healthcare. The care we veterans get is focused in many ways on the unique challenges that veterans face: what it was like to be in combat and intense situations like that, post traumatic stress disorder, traumatic brain injuries, exposure to chemicals like Agent Orange, exposure to depleted uranium and exposure to a multitude of chemical from the burn pits. Study after study has shown that we like the VA and that the quality of care is better than private care. The profiteers and their puppets seek to privatize our health care for the same reason they want to privatize the schools, the Post Office, the prisons, utilities and other assets that belong to Americans: they want to take our assets and they want to take them at the lowest possible prices. I’m not letting go of what is mine so that some billionaires and some politicians can get richer. 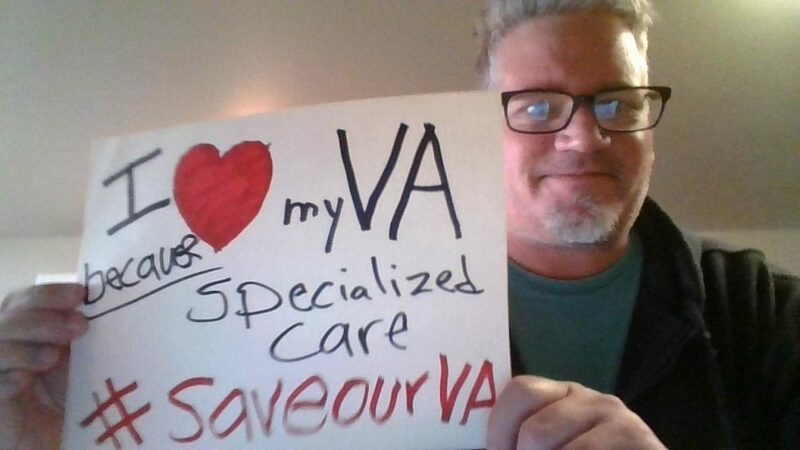 If and when, privatization is accomplished, veterans will not get endless care. There will be vouchers or similar methods to limit care, much more so than today. It will become more and more about balancing budgets. It will become the same debate that they like to have with safety net programs. “We can’t afford this.” It’s a game called ‘starve the beast.’ Which is just an extension of the rich getting richer while the rest suffer. For those who still want private care, fine, but don’t destroy our VA in order to get your care. The VA has had ways of getting private care for veterans when needed, all along. This entry was posted in Clarence Kailin Chapter 25 on February 15, 2019 by Brad Geyer.